We provide a quality speciality coffee, tea & hot chocolate, beverage service. In the summer we blend fresh fruit smoothies and iced frappes from our mobile espresso van. 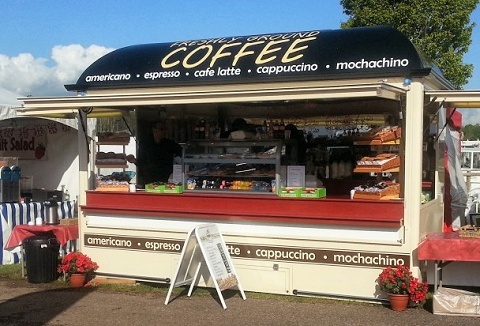 Choose from our stand alone van to indoor coffee bar the full theatre of coffee art. We bring high quality freshly ground coffee, teas, cold drinks and snacks directly to your event. 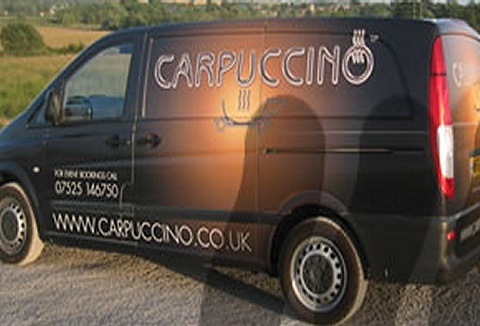 More like a mobile cafe, Carpuccino operates a high quality service from a self sufficient, purpose built van - ideal for outdoor events, and functions. 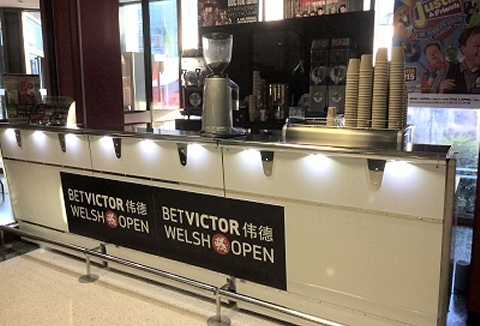 We operate a modern coffee unit selling high quality speciality coffee and teas including Lavazza coffee, Twinning’s tea and Suchard hot chocolate. To complement our drinks we also offer a range of Panini with various fresh fillings & delicious pastries. 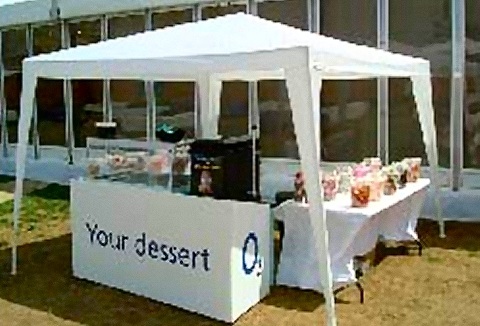 We specialise in providing a range of 'cool refreshments' for any event. Choose from frozen yogurt, smoothies, frozen cocktails, slush, milk shakes and ice cream for celebrations, promotions and events. A flexible professional service tailored to you. 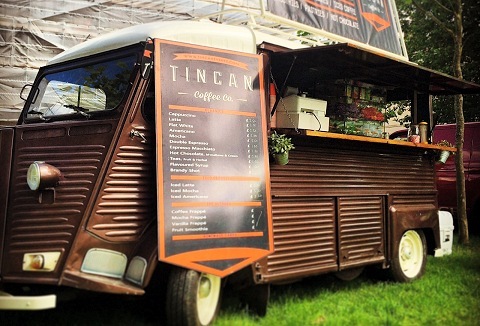 Gourmet Coffee on the Move! We operate independent espresso bars serving a good range of esspess coffees, smoothies, frappes, iced classics as well as locally sourced, award winning cakes, freshly baked pastries and artisan toasties. Uniformed baristas operate from vintage vehicles. An independent business & from our bespoke cart we serve quality, ethically sourced speciality coffee, teas, hot chocolate, soft drinks, homemade cakes & pastries including gluten dairy free options. During summer we serve iced coffees/teas & milkshakes. 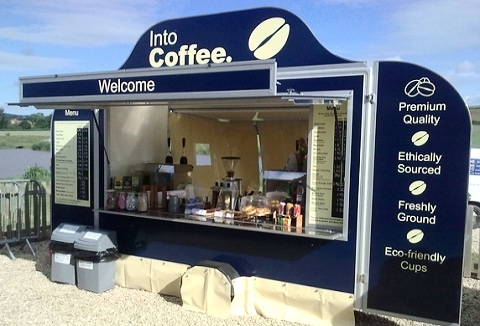 The mobile espresso bar system is highly flexible, allowing you to use anything from 1.2 m to 30 m, straight sections or 90 degree corner units to create shaped bars. Alternatively why not consider our single decker bus bar or retro VW convertible van. 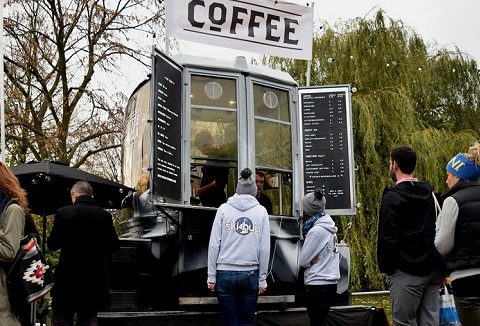 The Coffee-Bike is highly flexible and with 3m² it is a completely equipped coffee bar on the smallest space. Due to the noble mahogany wood, the nostalgic design and the traditional portafilter machine the Coffee-Bike is a real eye-catcher everywhere. Our team of friendly baristas serve speciality hot drinks from their converted ski gondola with enthusiastic professionalism. Through local sourcing of quality products, they offer a full espresso & cold-brew coffee range, speciality teas & deluxe cocoas. Indulge in our luxury range of coffees, teas and hot chocolate all served with home made cakes, scones, flapjacks and savoury snacks or try our thick luxurious milkshakes - made with ice-cream! Suitable for indoor & outdoor events and corporate functions.